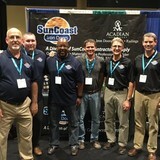 SunCoast Iron Doors is the premier choice for custom entry solutions in the Southeast United States. From simple single doors to courtyard gates to walls of elaborate double doors, we have something for everyone! Pick a design from our catalog. Look on suncoastirondoors.com. Draw your idea on a napkin. We will make whatever you desire. Worried about the stress of adding more products to your home design? Don't!! Our superior customer service and product quality ensure an effortless experience for builders and homeowners alike. As a supplier of Acadian Iron Works, we are also able to offer a 10 year warranty on all of our doors so you can rest assured that your new door stays new for years to come. 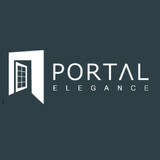 Decorative glass entry doors, windows, frameless shower enclosures, and much more! New Erra Doors is a family-owned business with over 40 years of woodworking experience. We are a one-stop-shop for custom entryway and interior door systems. From design and engineering to construction, installation, finishing, and customer service, our staff will assist you with your new construction or remodeling project. We also provide high quality trim, moldings, and iron decorative pieces to complement the finest homes. Our lumber is grown and harvested from a forest that is regulated by the FSC (Forestry Stewardship Council). Our lumber source is also certified by the Rainforest Alliance of South America When building an exterior unit you may select South American Mahogany or Spanish Cedar. We also offer several custom selections for interior doors and trim. All of our lumber is kiln dried to ensure that the moistrue content is below 10% before production. Whether selecting a standard design from our catalog or creating a custom look for your ideas, a CAD drawing will be provided for your approval. We will not begin production until you personally approve the design of your entry. We personally check the specifications of each item before, during, and after production to ensure the highest quality and accuracy possible. 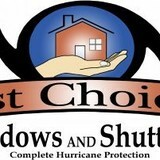 1st Choice Windows & Shutters is a leading hurricane protection company.. Our company does not only install windows and doors, but also manufactures high quality shutters within our facility ensuring that our clients getting nothing but high quality products. Salus was the Roman goddess of safety and well-being. Salus Secure Environments delivers safety and well being as a new and innovative purveyor of security doors, windows and environments. We are committed to design and protect your vision of welfare and preserving your prosperity. Our clients are the architects of their home front serenity. All we do is assist in the realization of creating the calm and peaceful environment vision. SUNFLEX Wall Systems LP founded in Germany in 1986 is the global innovator and leader in operable glass wall and door systems Combining the precision of our German engineering along with the highest quality materials, SUNFLEX manufacturers our own products including hardware for both interior and exterior applications. We have been relied upon worldwide by architects, engineers and contractors to customize functional and durable performance solutions specific to their clients’ needs. U.S. sales and distribution is based in Naples, Florida with international operations in Great Britain, Canada, Mexico, United Arab Emirates, South Africa and Thailand. Contact us at 800.606.0756 or info@sunflexwall.com for more information. We specialize in custom hurricane roll-down shutters, home security shutters, and motorized insect screens. We offer recessed and integrated options for new construction as well as installation on existing homes. Locksmith Naples Florida 24 hours Full locksmith service needs in Naples call now.. Guardian Hurricane Protection offers a full line of Impact Windows and Doors as well as traditional hurricane shutters including roll down, accordion, bahamas, colonials, storm panels and hurricane fabric. Our products are designed to the highest standards required to exceed Florida’s new 2010 building codes. We provide competitively priced, high quality solutions using the finest state of the art products for protecting your home or business. Enjoy peace of mind knowing you are protected by Guardian Hurricane Protection, a fully licensed and insured company. "A" Locksmith is southwest Florida's oldest, most trusted, and most professional locksmith company. We empower our customers not by just selling products, but solving problems and explaining solutions that meet their budget and security needs. We will do our very best to give you a worry-free lock and leave solution you'll feel good about. Our full-service team is ready to help whether you are locked out, moving your home or office, or if you need to upgrade your security. We want our customers to be "in the know" about their property's security weaknesses so they can make informed decisions. That's why we offer a proprietary free on-site home or business security audit where our technicians will identify your property's unique pitfalls when it comes to protecting what matters most. Each carefully chosen employee has been fully background checked and must adhere to the strictest standards of ethics and professionalism while focusing on the highest levels of customer service. You can rest assured your security is well taken care of with our highly-trained and trusted team of technicians. All American Shutters was founded in 1996 to provide high quality, reliable hurricane protection to meet the new wind-borne debris code requirements established in Palm Beach County. Initially operated as a "family" business, our managed growth has pushed us to the forefront of the hurricane protection industry. Manufacturers' Representative of Quality Products. All of our products complement each other to give complete solutions for your customers. We know where our products fit in your markets and will be happy to develop a plan to build market share. We are uniquely successful because we integrate the communications between manufacturer, dealer/distributor, design team and builder/homeowner. Building your business is our business. What kind of services do Lely Resort door dealers provide? Door dealers are responsible for a variety of services, including door installation, replacement, door repair and custom door design. If you need a new door, Lely Resort, FL door dealers will help you determine what kind you need, as well as shape, color, size and more. From barn doors to French doors to front doors, these professionals can help you choose, install and maintain your door investments. Wood doors are beautiful, versatile and tend to be the most popular choice for both interior and exterior doors; they are easy to custom build, and include oak, cherry, walnut, mahogany, maple, fir and pine. Some standard wood doors have MDF cores wrapped in wood veneers, which minimizes the chances of warping as real wood expands when wet and contracts when dry. If your heart is set on a wood door but you think the Lely Resort, FL climate might cause it to warp, talk to your door professional about a furniture-grade veneered door. Aluminum doors have an insulated core and come in a variety of colors and finishes. With a baked-on enamel finish, they won’t rust or need repainting, and many come with a 20-year warranty. Next to wood they are the most expensive and have to be custom-made. A Lely Resort, FL door dealer can help you find a reputable aluminum door manufacturer. Find door dealers and installers in Lely Resort, FL on Houzz. Look in the Professionals section of our website and search for Lely Resort, FL door dealers and installers. Read reviews, look at project photos and see how a pro can help with your home improvement project.